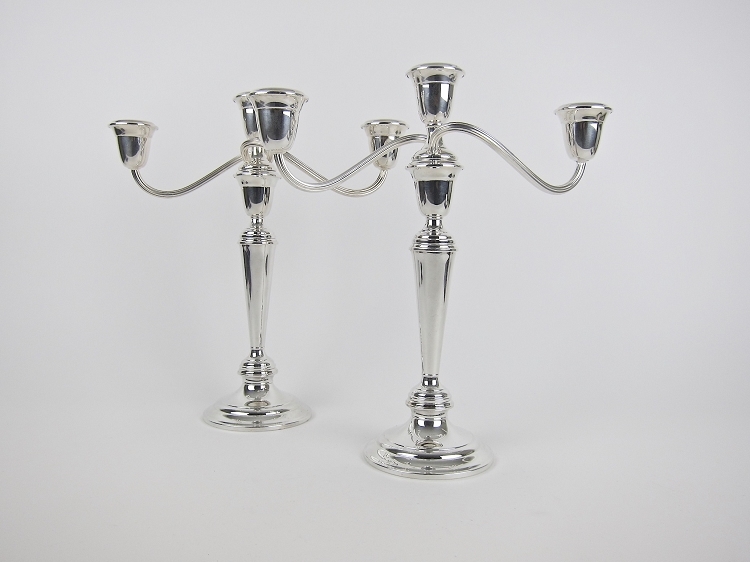 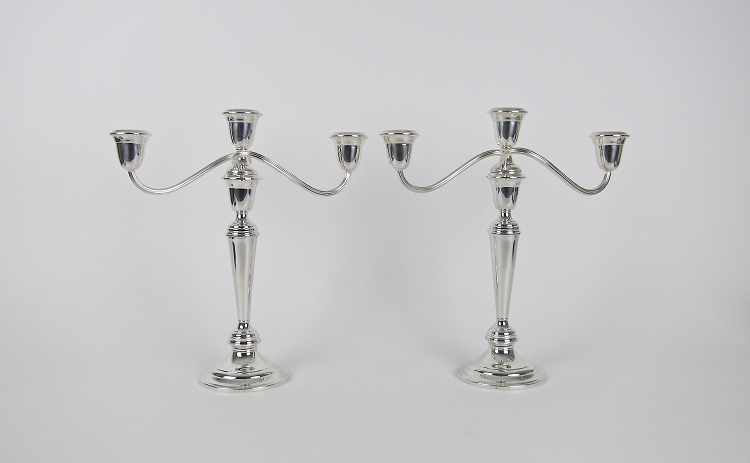 A vintage convertible three light candelabra pair from Gorham Manufacturing Company of Providence, Rhode Island. 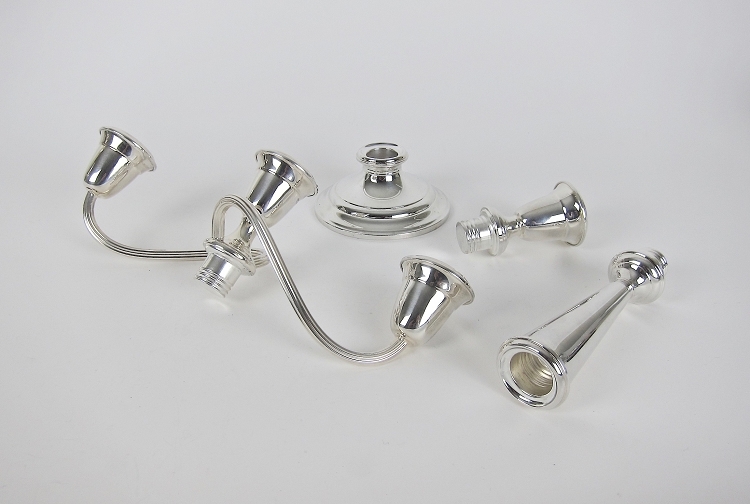 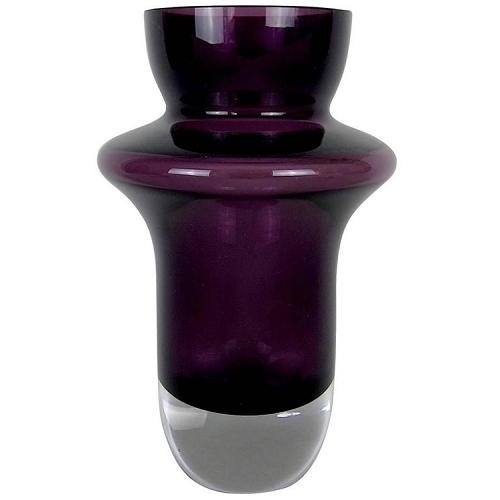 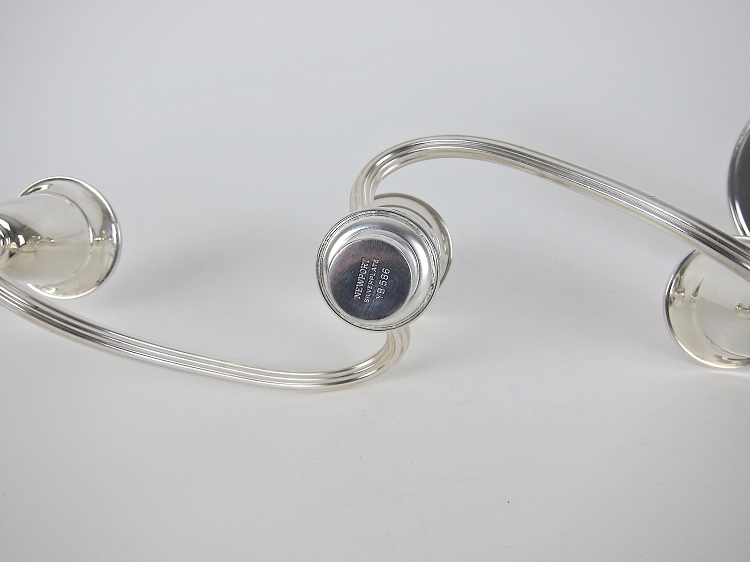 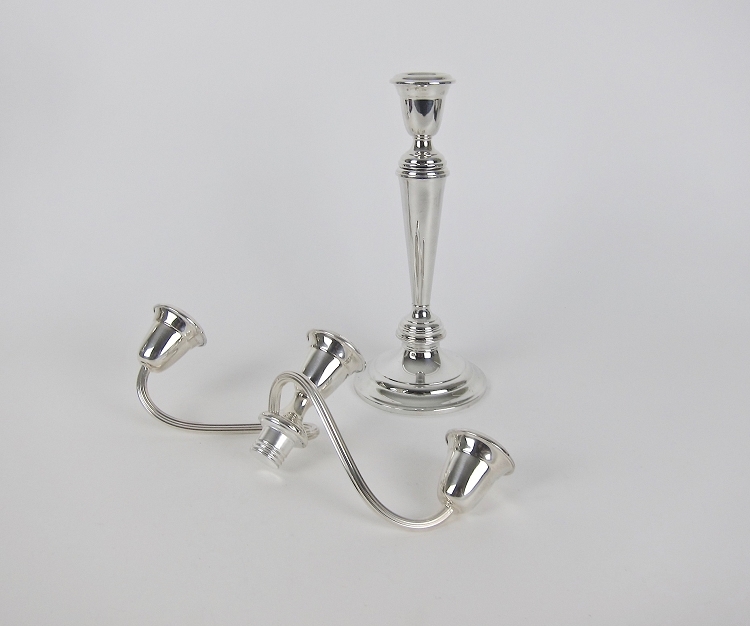 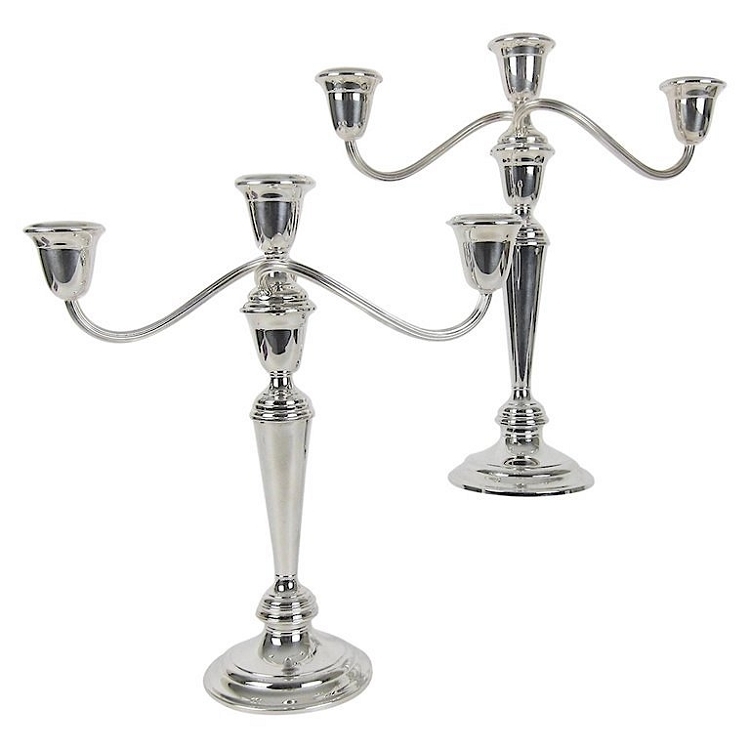 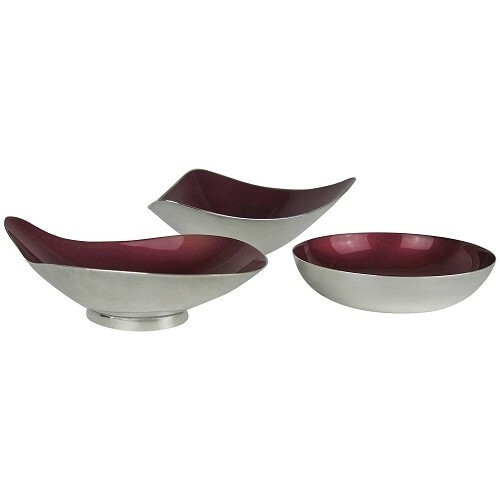 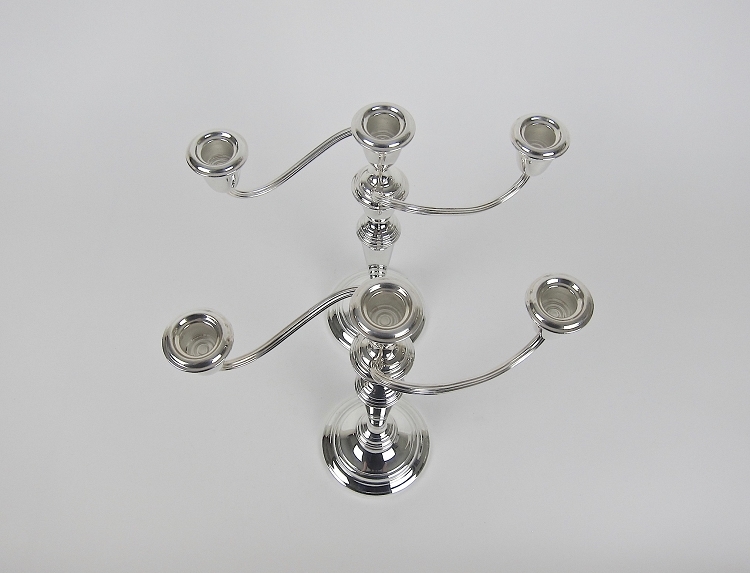 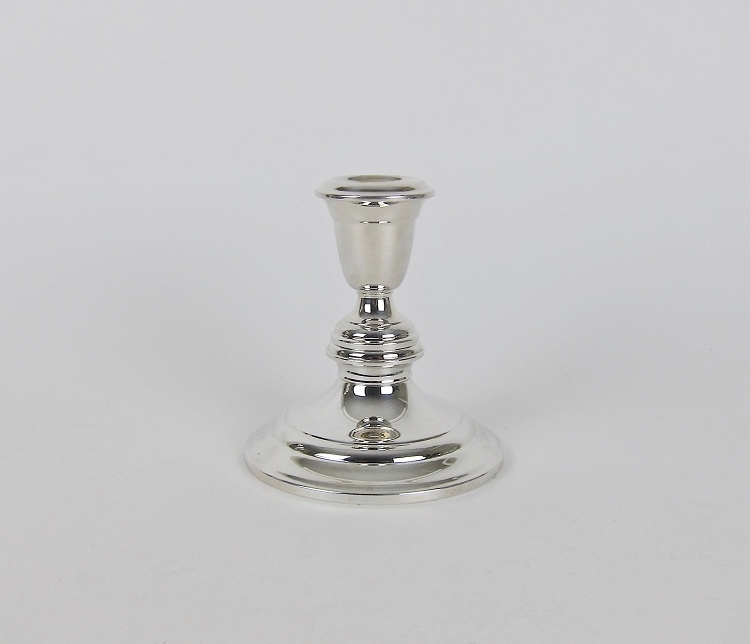 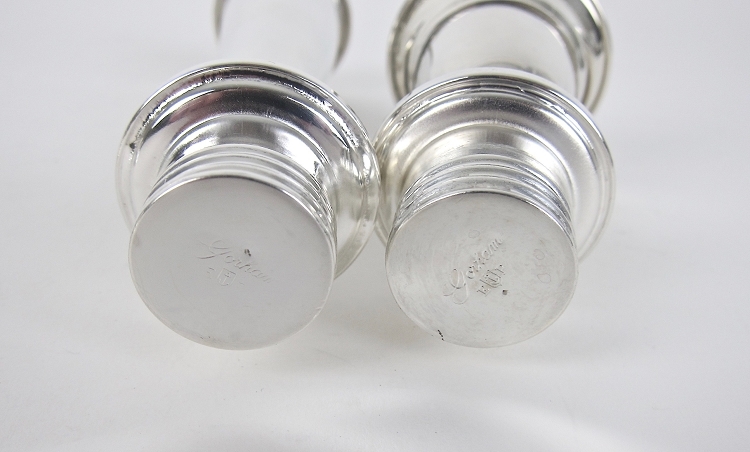 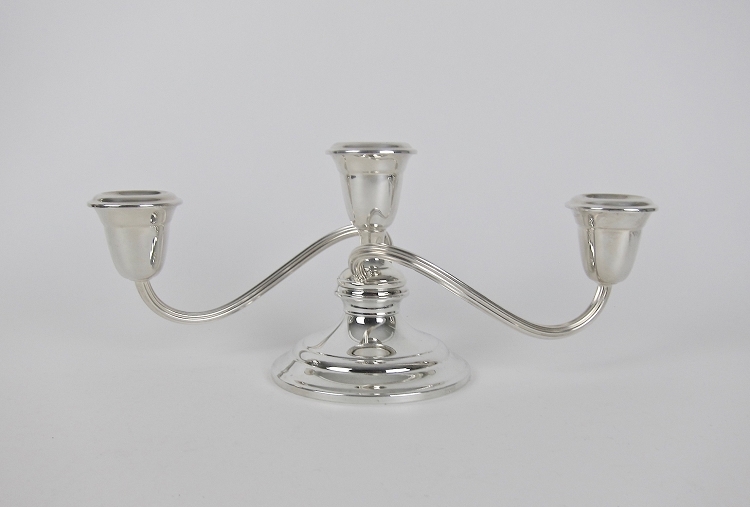 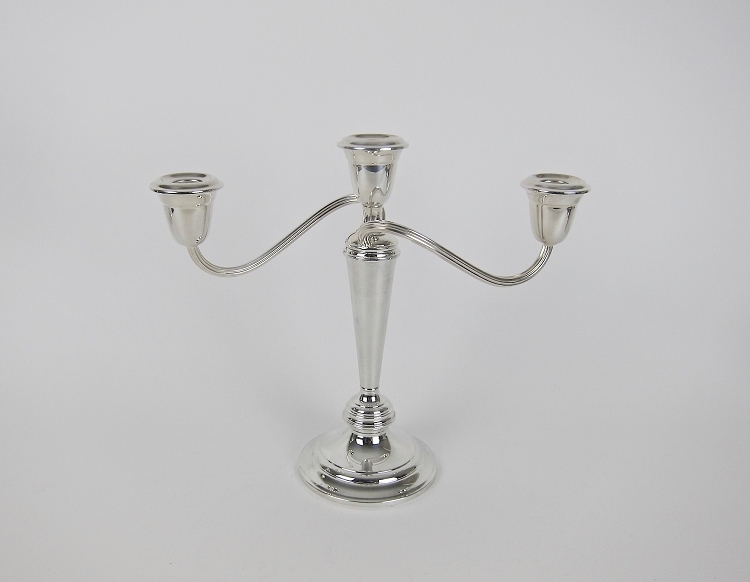 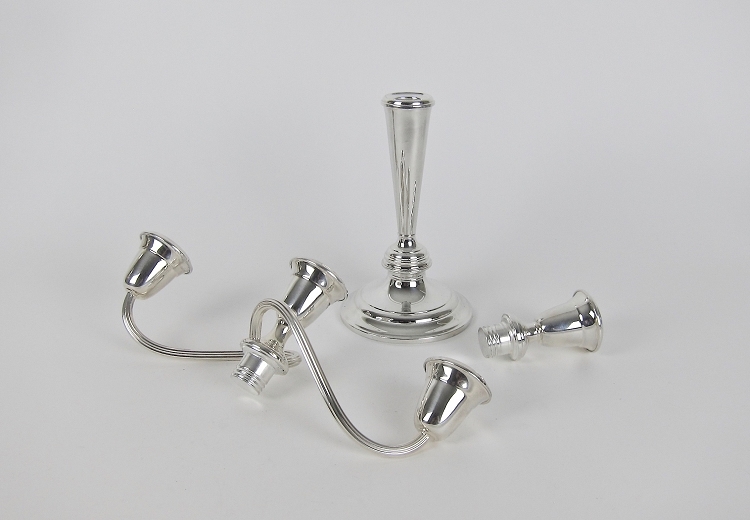 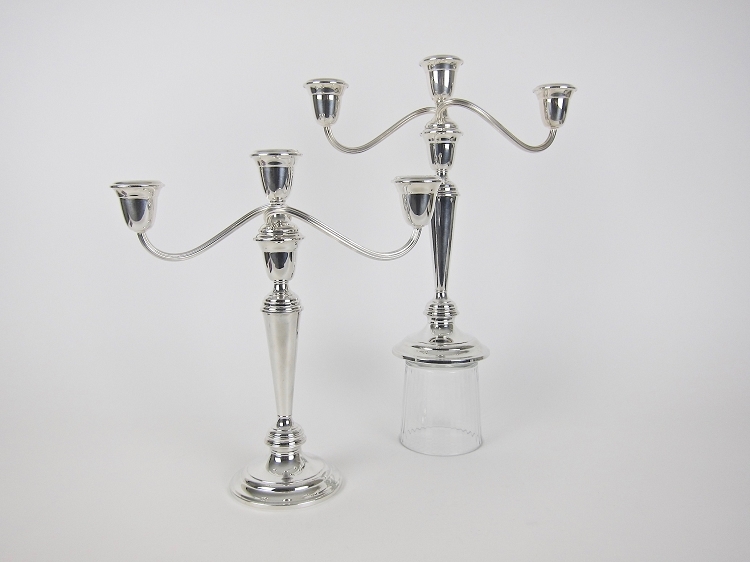 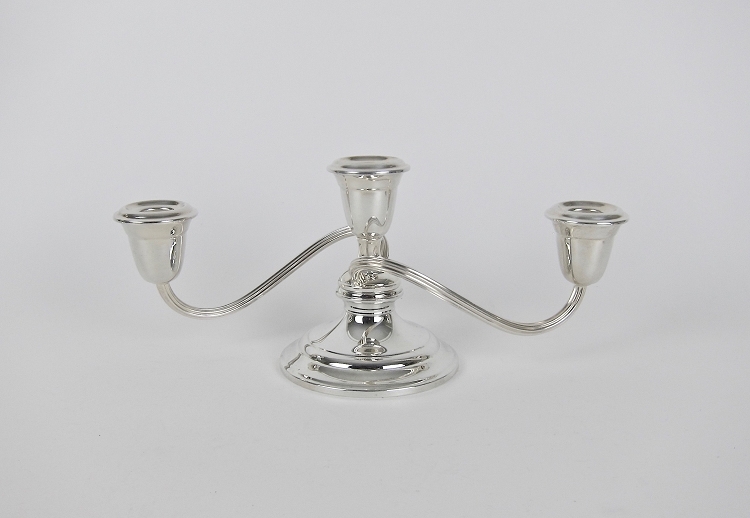 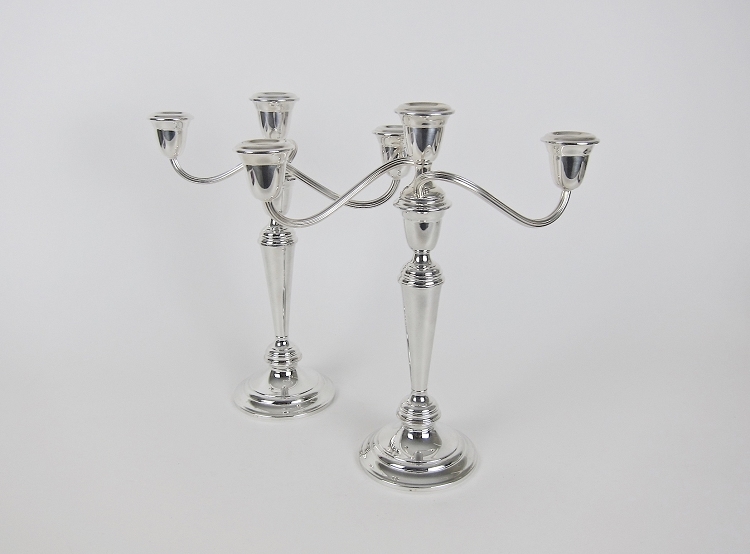 The silver plated candleholders are each composed of four parts: a weighted circular base, a tapering stem, an urn, and reeded twisting arms supporting three candle cups. 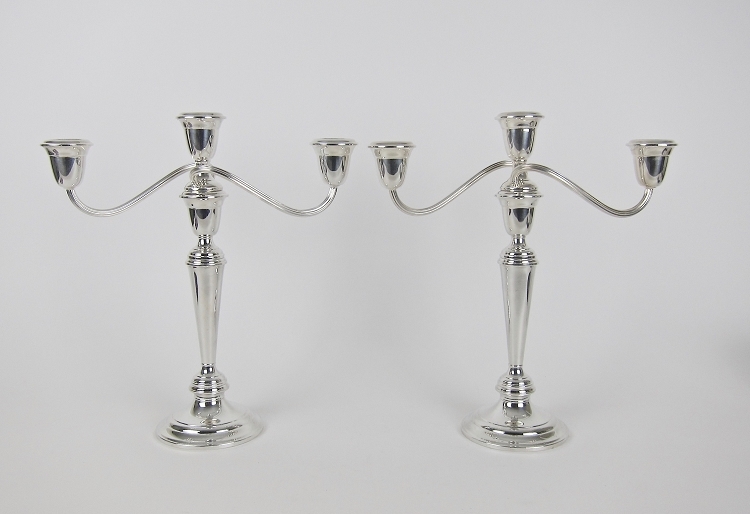 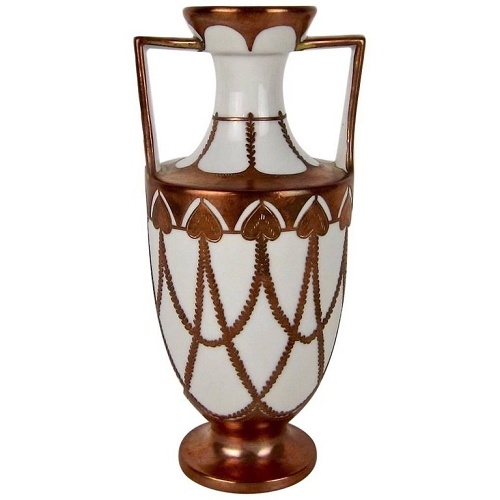 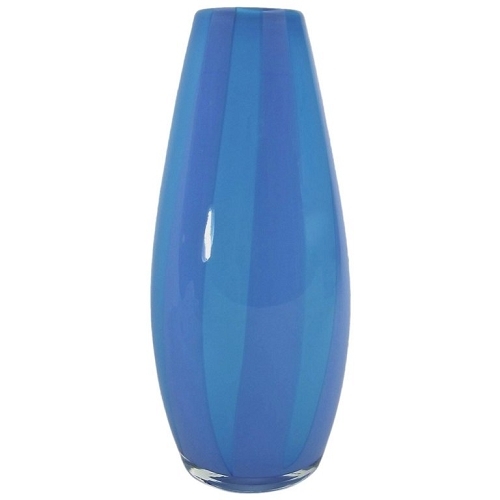 Gorham advertised this design as their "Changeabout" candelabra that could be styled in eight different ways to create differing heights and candle capacities. 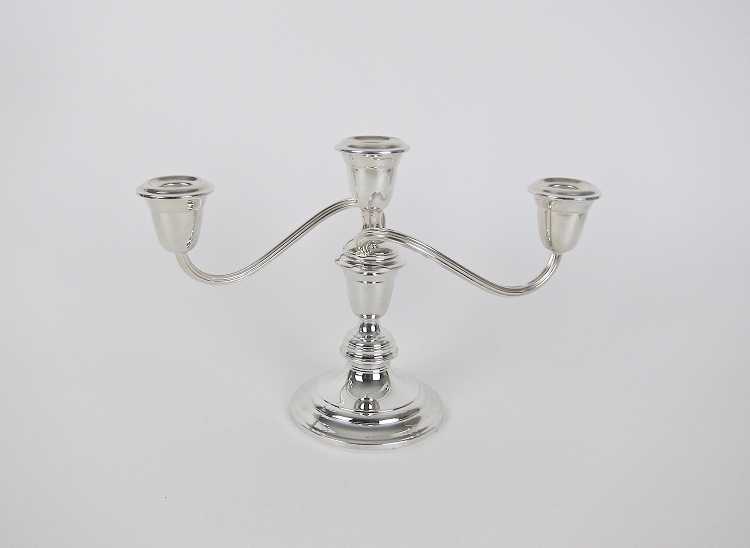 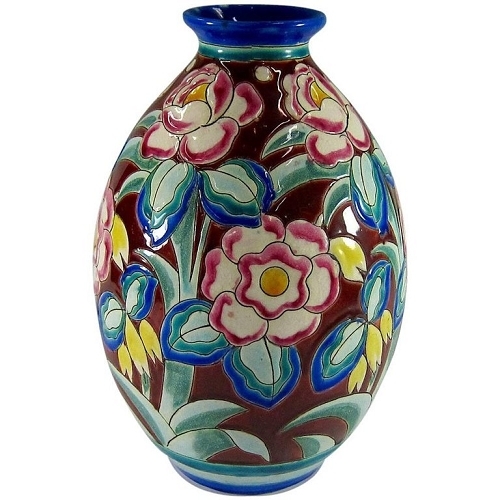 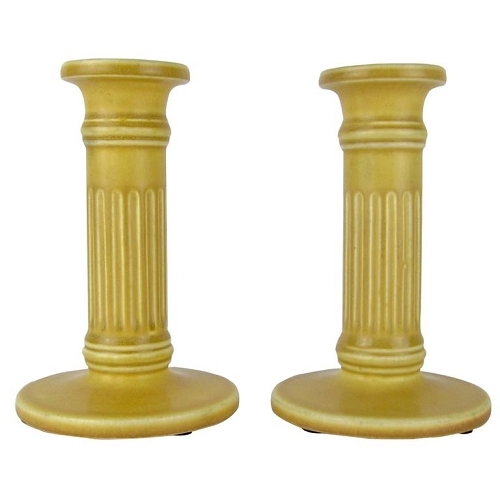 Each candelabra and its separate components is in very good, undamaged condition, measuring 12 in. 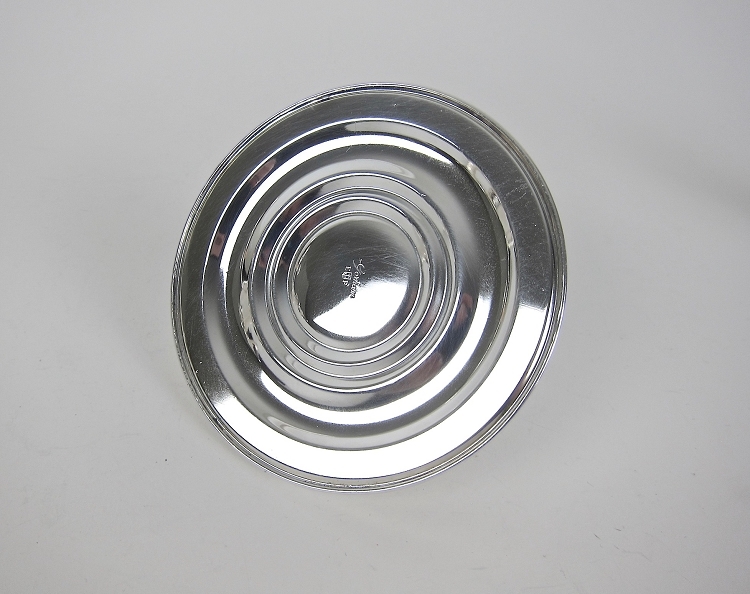 H x 11 in. 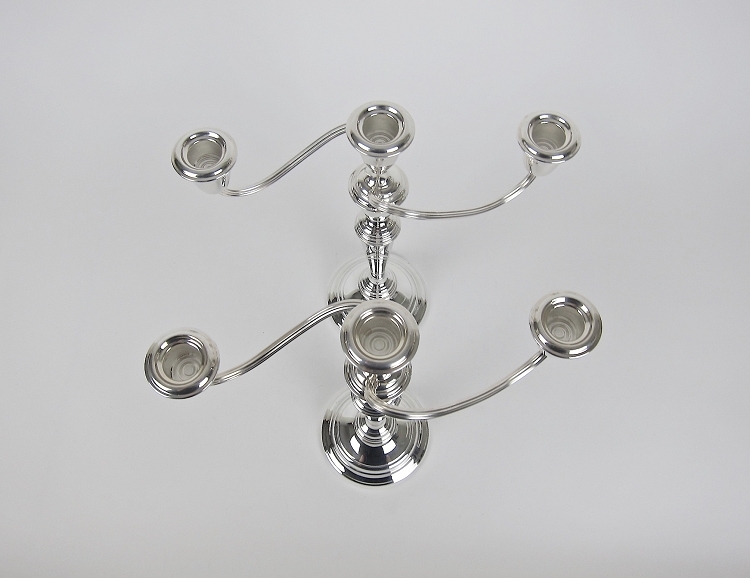 W x 4 in diameter (at base). 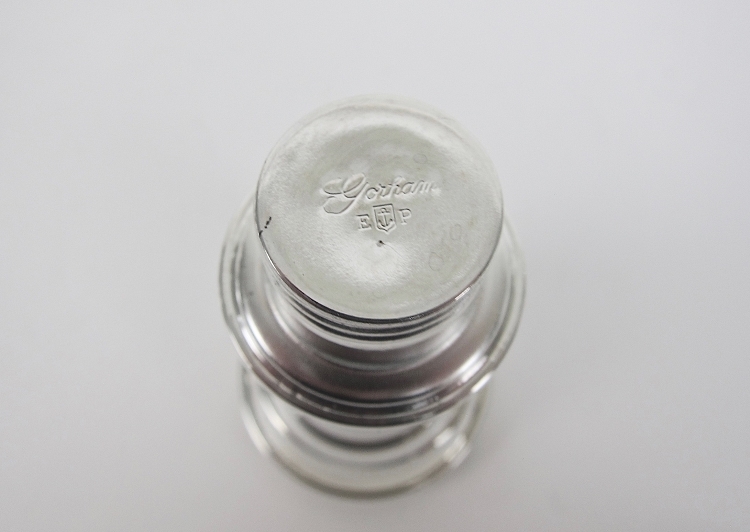 The bottom three pieces of each design are marked Gorham in script over E [anchor in a shield] P while the tops of the design are both marked NEWPORT silver plate (a Gorham brand) with a YB586 form number.